French wine is unrivaled in the world, priding itself on Bordeaux and Burgundy. In China, mention of French wine will remind everyone of Bordeaux. 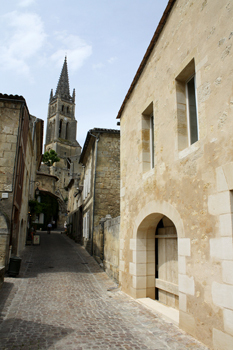 Medieval castles, beautiful graperies and roses around them are Bordeaux's traditional and quiet pastoral scenes. There are 14,161 hectares of graperies in Medoc which is located in Bordeaux and near the estuary on the left bank of Gironde, and these graperies best represents the subdivided growing districts with Bordeaux wine style. As is well-known to people that have some knowledge of French wine, the wine is divided into four classes - Vin de Table, Vin de Pay, Vin Delimites de Qualite Superieure/VDQS, and Appellation d'Origine Controlee/AOC. These four classes are prescribed by French law. However, in Medoc, besides the AOC class prescribed by law, official classes are specified by time-honored prestigious chateaux that persist in producing high-quality wine as always. The history of these classes is longer than the AOC system, starting for the commercial purpose of pricing and later serving as a guarantee of the quality of chateaux more often than not. The most important and well-known classification system in Medoc consists of two major classes - Grand Cru Classe or Classified Growths that involves 60 top chateaux there, and Crus Bourgeois that involves over 400 chateaux that produce high-quality yet medium-priced wine.